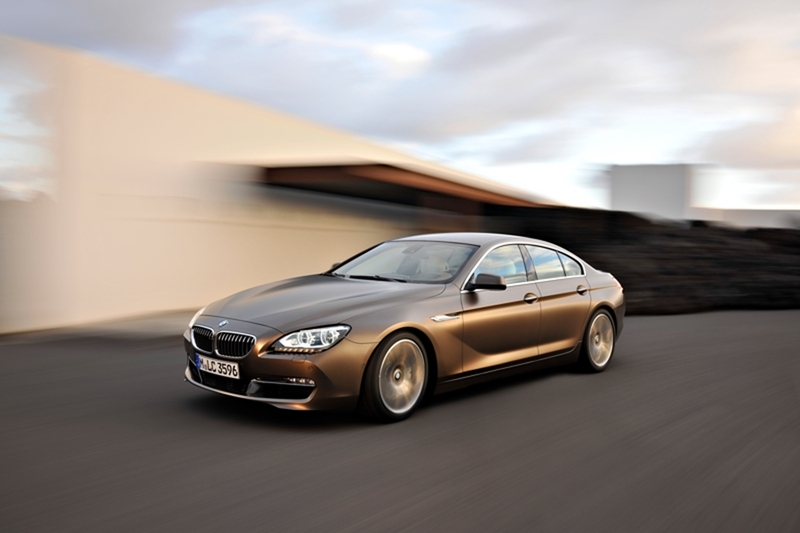 World premiere Geneva Motor Show 2012: the BMW 6 Series Gran Coupe. The aesthetic highlight of the BMW trade show presentation at the 2012 International Motor Show is the world premiere of the BMW 6 Series Gran Coupe. The brand’s first 4-door Coupe combines the sporty, elegant styling of the BMW 6 Series with an extended range of functions. It offers high-quality interior design with generous space and a high level of seating comfort. Foldable backrests enable the luggage compartment volume to be expanded from 460 to 1,265 litres. 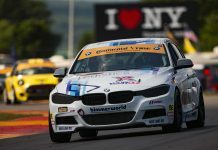 Engines with BMW TwinPower Turbo Technology and the 8-speed sports automatic transmission including automatic engine start-stop function ensure pulling power and efficiency. The 6-cylinder petrol engine of the BMW 640i Gran Coupe delivers 235 kW/320 bhp, the 6-cylinder diesel of the BMW 640d Gran Coupe 230 kW/313 bhp. The range is supplemented with the 8-cylinder model BMW 650i Gran Coupe with 330 kW/450 bhp, the latter also available with the all-wheel drive system BMW xDrive. The high-quality suspension technology of the BMW 6 Series Gran Coupe creates an ideal harmony between sporty flair and luxurious travel comfort. 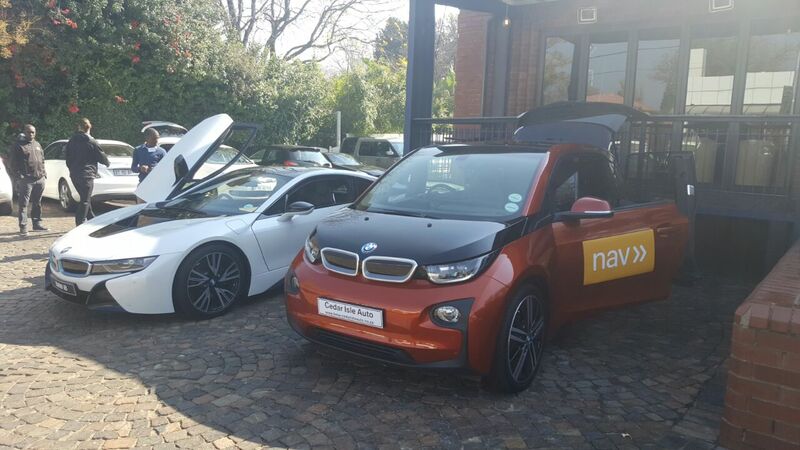 The BMW Individual program available for its market launch highlights the model’s exclusivity, and its athletic character can also be underscored with the M Sport package available for the sales launch. World premiere Geneva Motor Show 2012: the new BMW M6 Coupe. 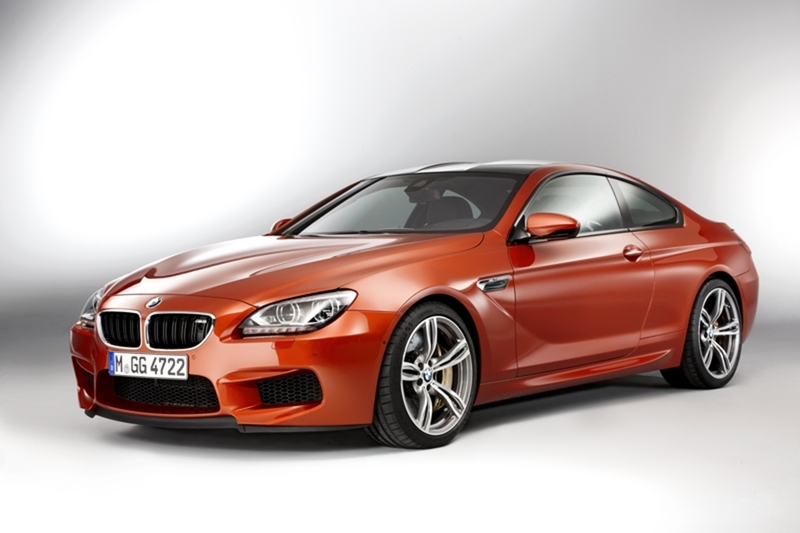 The new BMW M6 Coupe embodies high performance in its purest form. The high revving V8 engine with M TwinPower Turbo Technology and 412 kW/560 bhp, the 7-speed M dual transmission Drivelogic, the Active M Differential, the M-specific suspension technology and extensive body reinforcements as well as the optionally available and globally unique M Carbon ceramic brake represent an advance into a whole new dimension of driving dynamics. The new BMW M6 Coupe accelerates in 4.2 seconds from zero to 100 km/h. Its average fuel consumption in the EU test cycle is 9.9 litres to 100 kilometres, more than 30 per cent below that of its predecessor. The sporty, elegant lines of the 2-door model are supplemented with hallmark M design features. One highlight is the strikingly contoured lightweight construction roof made of carbon fibre reinforced plastic. World premiere Geneva Motor Show 2012: the BMW M Performance automobiles. A new product category, four new models, a globally unique engine and intensive M feeling: the BMW M Performance automobiles, presented to the general public for the first time at the Geneva Motor Show, offer impressively enhanced performance and a characteristic M set-up of drivetrain, suspension and aerodynamics as well as characteristic design and interior feel. They also provide unlimited suitability for everyday use and a high level of efficiency. The models BMW M550d xDrive, BMW M550d xDrive Touring, BMW X5 M50d and BMW X6 M50d will be offered to mark the start of the new BMW M GmbH product category. 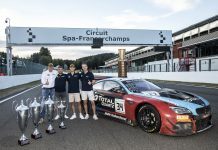 They are powered by the in-line 6-cylinder diesel engine with triple turbocharger developed exclusively for the BMW M Performance automobiles, delivering a maximum output of 280 kW/381 bhp and a maximum torque of 740 Newton metres. Combined with the 8-speed sports automatic transmission, the all-wheel drive system xDrive and modified suspension technology, this creates a driving experience defined by the agility and precision typical of M.
Attraction Geneva Motor Show 2012: the new BMW 3 Series sedan. The new BMW 3 Series Sedan takes over and extends the status of being the sportiest vehicle in its segment, as established by its predecessor. Furthermore it offers a tangible increase in ride comfort, optimised use of interior space and numerous equipment features which are unique in its category. Further engine variants with BMW TwinPower Turbo Technology will be presented at the Geneva Motor Show: two 4-cylinder diesel engines in the BMW 316d (85 kW/116 bhp) and the BMW 318d (105 kW/143 bhp) and a 4-cylinder petrol engine in the BMW 320i (135 kW/184 bhp). Another new feature is the imminent introduction of the intelligent all-wheel drive system xDrive for the new BMW 3 Series Sedan. The BMW ActiveHybrid 3 will also be presented in Geneva, which is also about to go into serial production. Attraction Geneva Motor Show 2012: BMW 125i, BMW 125d, BMW 116d EfficientDynamics Edition. 99 grams per kilometre: this figure is the level CO2 emissions of the new BMW 116d EfficientDynamics Edition presented at the 2012 Geneva Motor Show. This version of the new BMW 1 Series powered by an 85 kW/116 bhp diesel engine with BMW TwinPower Turbo Technology and an average fuel consumption of 3.8 litres per 100 kilometres is the most economical automobile in the BMW model program. Also new: the BMW 125d and the BMW 125i, each with 160 kW/218 bhp respectively, are the most powerful diesel and petrol engine versions of the new compact model. World premiere Geneva Motor Show 2012: the new BMW X6. The exclusive status of the BMW X6 as the world’s sole Sports Activity Coupe is now additionally underscored by specific design modifications and innovative equipment features. Among other things, the new BMW X6 has a particularly strikingly designed radiator grille, higher fog lights and rear lights featuring LED technology. The new BMW X6 is the only vehicle in its segment to be optionally available with adaptive LED headlights. The program of options is also expanded with the addition of the M Sport Edition, 20-inch bi-colour light alloy rims and an engine compartment lid with a striking powerdome. Innovation Geneva Motor Show 2012: BMW i3 Concept, BMW i8 Concept. With individually tailored vehicle concepts, sustainability throughout the entire supply chain and supplementary mobility services, BMW i has created a whole new understanding of individual mobility. The central focus is on groundbreaking models which set new milestones along the road to CO2 -free motoring by means of innovative drivetrain technology and consistent lightweight construction. The BMW i3 Concept and the BMW i8 Concept will be presented at the 2012 International Motor Show. 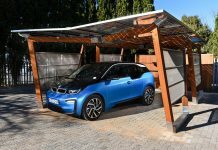 BMW i thereby provides a look ahead to the very first electrically powered premium vehicle, due to go on the market as early as 2013 as the BMW i3. 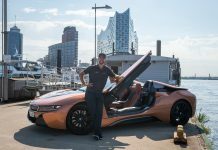 The BMW i8, a new generation of sports car with plug-in hybrid drive concept – is likewise well on the way to serial production readiness. 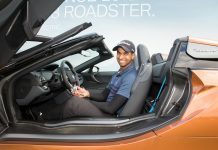 Aaron Rai wins the new BMW i8 Roadster with a hole in one.